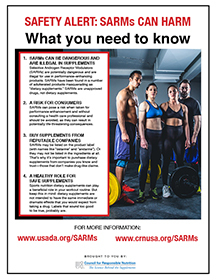 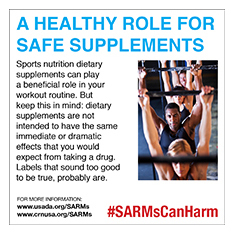 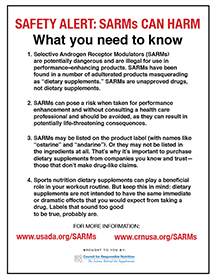 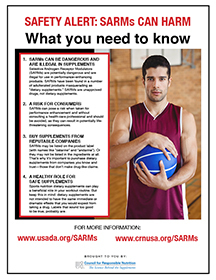 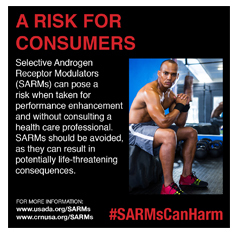 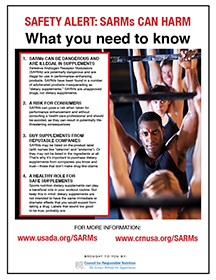 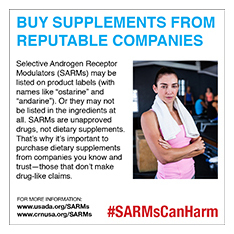 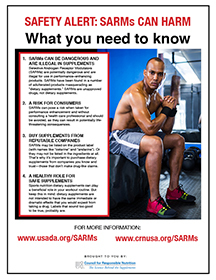 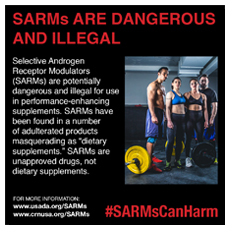 Help spread the word about the dangers of Selective Androgen Receptor Modulators (SARMs). 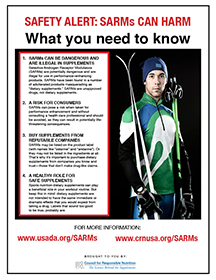 Reproduction of this content is permitted for educational purposes. 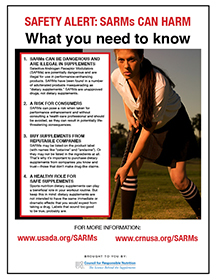 For more information, contact Nancy Weindruch. 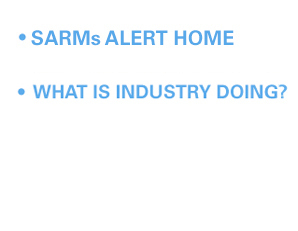 Download shareable social media graphics, sized for Twitter, Facebook, and Instagram—click thumbnails for options. 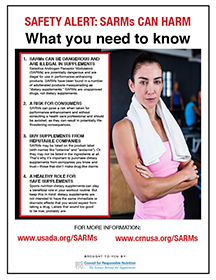 Download these free educational handouts to share at your gym, at your sports club, or with your team—click thumbnail for printable PDF.